Walsine Pierce: A MIRACLE CURE: How to bottle it? I've discovered a miracle cure for what ails you! Now, how to bottle it? Night before last my lovely wife, Julie, just could not go to sleep. She was in too much pain. She and helper, Donna, had been moving things like our new furnace and air conditioner around in the garage making room for both cars as winter approaches. She over did it and was hurting. When I called her to breakfast at 6:00AM she moved like she was in mule gear going up the mountain. I mean, molasses in the winter time. The only way she could have gone slower was to have backed up. Intermittently grunting and moaning as she consummed her bacon and eggs, she said she just couldn't go to work. She has to sit on the job and her back and neck were killing her. She called off and headed back to bed, reinforced with pain killers. (She is officially on sick leave and will--I assure you--make up this lost day before the week ends). Why else did the good Lord give us Saturdays and Sundays? I called her about 11:00AM and asked her to ride out to Wadsworth Drug Mart with me to pay my bills and I'd take her to lunch. Ah! The magic words: Lunch and shopping at Drug Mart. Why do I pay my bills at Drug Mart? I know about using checks, I write a check or two most years. No, no, I know about paying bills by computer. Julie does that. Where is the fun in doing that? At Drug Mart I get to chat with Carole, who calls me sweetie, and gives me a printed PAID receipt clipped to the stack of bills. We went to lunch at Bob Evans. I had soup and salad and Julie had salad and dessert. 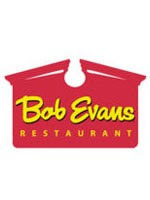 Bob Evans had a new item, a to-go family spaghetti dinner for 4 for $10.99. It looked delicious and we wanted to take a dinner to some friends who were hurting. Adding rolls and bannana bread from Bob Evans and salad and something else, can't recall what, from the nearby Walmart, we headed for our friends house in nearby Orrville, Ohio. As we were leaving Orrville I reminded Julie that SMUCKERS COUNTRY STORE was in Orville and would she want to go? I'm not sure why I wasted breath with that question. Take a tour of SMUCKERS with us. You know "With a name like Smuckers it has to be good". There was about a dozen or so really old cars in front of Smuckers but I missed getting a picture. But this is the outside and inside entrance to Smuckers. Julie's neck and back pain was starting to fade at Bob Evans. She was totally cured as we entered Smuckers and I was straining carrying two bags of goodies. You could just see the glow on Julie's face as she viewed the treasures in this huge, barn like building. I just stroll and look. Julie? Are you kidding? ''No, no, I can push my own shopping cart. You think I'm sick or something"? When you think of Smuckers you of course think of jelly. I survive on their sugar free jelly. The Orange marmalade is my favorite, just behind their red raspberry. Did you know that Smucker also makes the KNOTTS BERRY and DICKINSON'S jellies and jams. This small town business has grown over the years and taken over many, many other familiar name brands. Check out the pictures of food you know well, all owned by the Smucker family. After shopping at Drug Mart, Bob Evans and Smuckers, Julie was feeling no pain. Could we go to the Salvation Army thrift store? She needed more decorations for halloween. Then, she recalled that Giant Eagle was having some great grocery buys. I don't know how long it took her to load down the cart but I had a great nap. Dinner? Yup! They were closing out the 3 for $10 chicken dinners at the delly but they only had two dinners, just what we needed, which they would still sell her for $3.33 each. What a girl! When we got home she had to share her experiences and a small gift she had purchased for our next door neighbor. It is Saturday and she has left for work stepping high. Oh, yes! She won't be home until later this evening. After work she and another friend are taking their favorite character, Renee Martin, out for her birthday. I think Renee is a hundred and two? No one could get that worthless in forty something years. I DESCRIBED THE CURE TO YOU. Do you have any idea how I can bottle it? "I always finish what I sta..........."